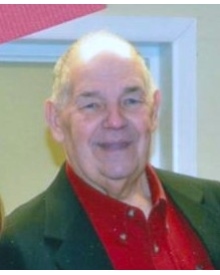 Billy Floyd Kerley, 76, went home to be with the Lord August 10, 2018, surrounded by his family and friends. He was a native of Sequatchie County, Tennessee. Billy retired after 50+ years as an electrician . He and his wife settled in Hixson, Tennessee where he was a faithful member of Friendship Baptist Church. He was preceded in death by his parents, Glenn and Alene Kerley; and a sister, Shelva Hatfield, all of Dunlap, TN. He is survived by his wife, Claudia Kerley; 2 daughters, Mechelle Ward (Randy), and Marva Smith (Stephen); 3 grandchildren, Amber Gentry, Benjamin Smith, Paige McClure; several step-grandchildren; and several great-grandchildren. He will always be known for his big smile and his giving heart. Special thanks to Amedisys Hospice and for Misty Rice and Nicholettte Baker for the care they provided. The funeral service will be at 3:30 EST Monday, August 13, 2018 in the funeral home chapel with Rev. Mike Combs, Jr. officiating. Burial will follow in Friendship Cemetery. Visitation is from 5:00 PM to 9:00 PM EST on Sunday, August 12, 2018.